Our gorgeous and illuminating Q and A follows. So what is the Mermaid Studio? 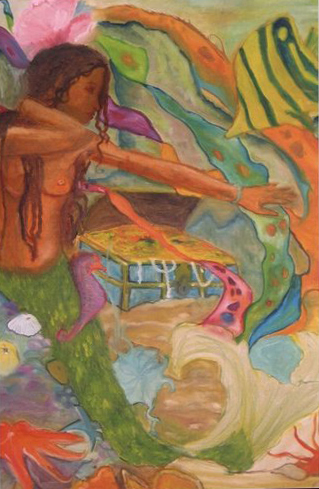 The Mermaid Studio is an online art gallery that sells mermaid-themed artwork, representing artists from around the world. Fine art of a wide variety, e.g. paintings, sculpture, drawings, photography, etc., is available for sale as well as custom commissions. Any artwork depicted in the online art gallery can be ordered as a print. 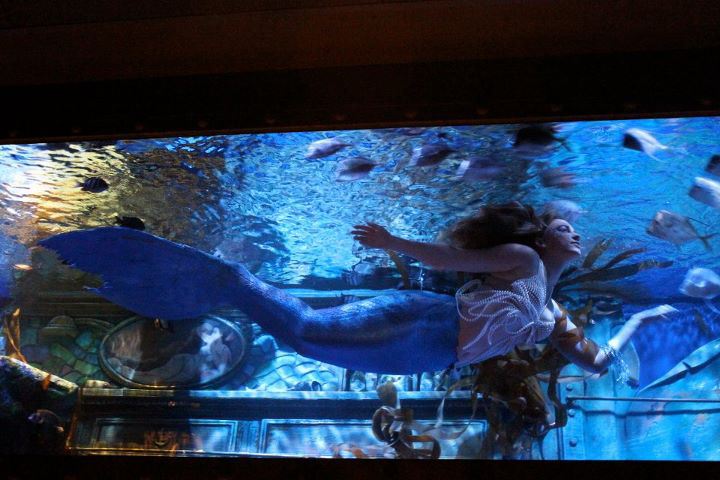 In addition, The Mermaid Studio sells mermaid-themed merchandise. 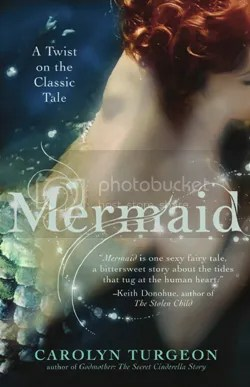 The website, www.themermaidstudio.com, also provides links to all types of mermaid-related sites. In addition, up-to-the-moment information on where to find mermaids around the world is presented on The Mermaid Studio’s blog. And updates on current mermaid events are found on twitter. Plans are in the works to open a physical gallery in upstate New York. Can you tell me about your artists? Ashley Benner is a painter and photographer who trained in Foundation Studies at Rhode Island School of Design and Art Education at SUNY New Paltz. Ashley’s forte is in dynamic color choices in her paintings and magnetic composition and image editing in her photography. Garett Grassi is a self-taught artist who can create literally anything. Garett has turned client’s dreams into literal forms throughout the country. Garett is a renaissance artist who can work in any medium, but whose strengths lie in metalwork and drawing. Melissa Murray went from a dual-degree in Physics and English Literature from the University of Colorado at Boulder to studying Sculpture in England. As a stone sculptor, she has her own studio in Cambridge, England and has exhibited and been commissioned for work worldwide. 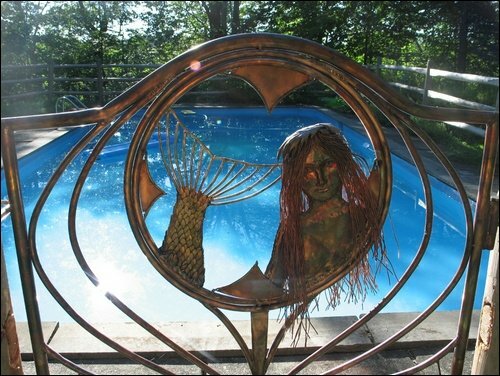 Dani Leventhal works in a variety of mediums but has primarily created mermaids in clay. Dani’s work has been exhibited worldwide, including MOMA PS1. Dani received an MFA in Sculpture from the University of Illinois at Chicago, an MFA in film/video from Bard College and a BA in Art from Earlham College. 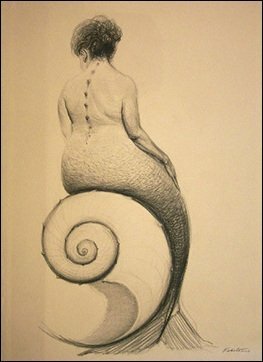 Can you share some examples of your favorite mermaid art—both that you represent and don’t represent? Why mermaids? 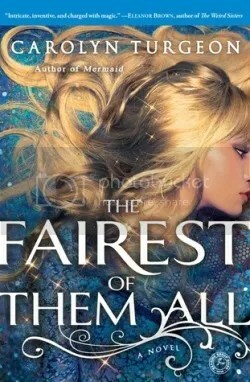 Have you always been interested in mermaids? I grew up in a New Jersey shore town, Long Branch, where I swam in the ocean daily during the summer. Growing up, I often felt like a “fish out of water,” one who, under the guise of assimilation, donned a persona, which would allow me to exist in the “real world.” I always felt at home swimming in the ocean. 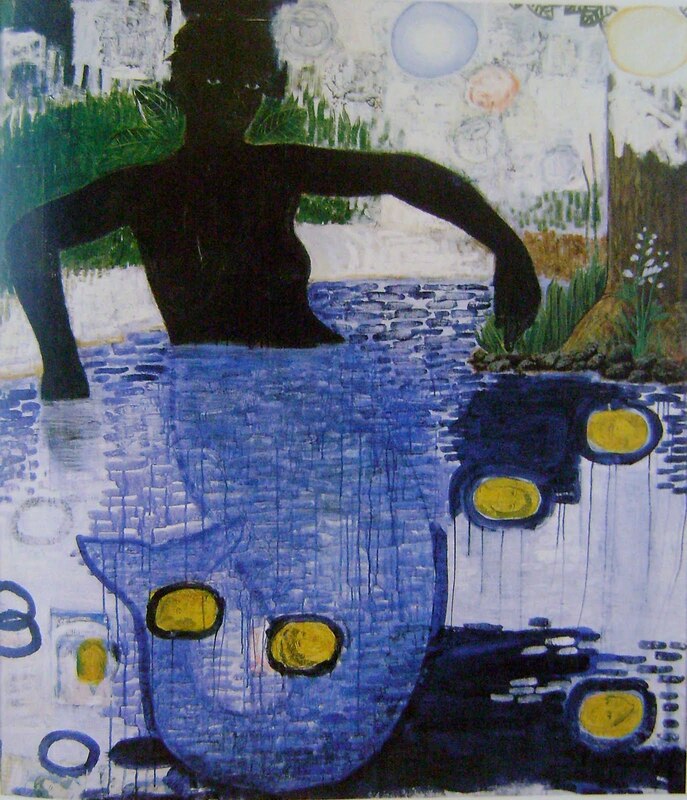 Have you noticed a rise in the popularity of mermaids/mermaid art in the past year? 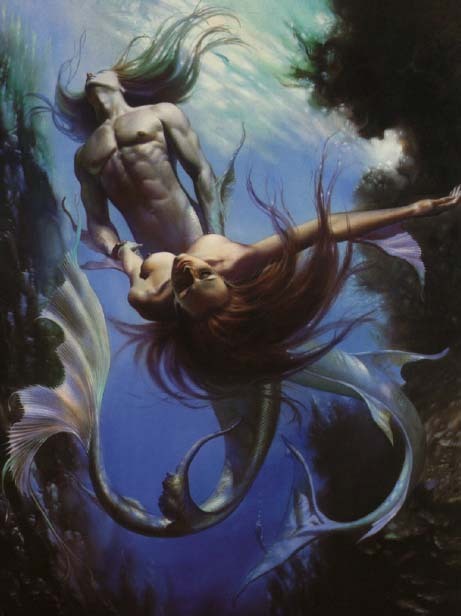 Mermaids have risen in popularity recently. I attribute this shift to the increase in mermaid subject matter in movies and associated merchandise for young and old alike, e.g. Pirates of the Caribbean 4: On Stranger Tides, Barbie in a Mermaid Tail, etc. Can you tell me about your own mermaid art? 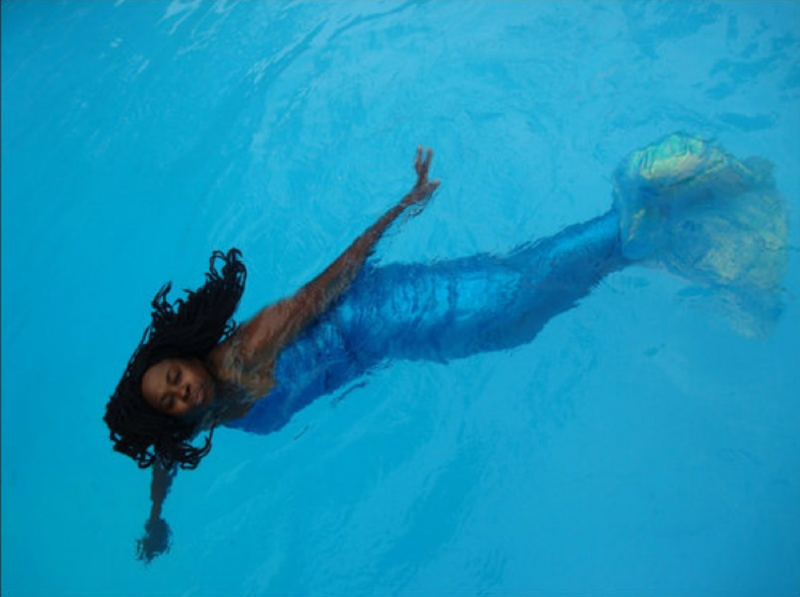 I have created mermaid art in various forms, namely paintings, drawings, sculpture, but have most recently been most interested in mermaid photography. I have photographed mermaids in Norfolk, Virginia, Beaufort, South Carolina and at the annual Mermaid Parade in Coney Island, New York. So you were at the recent MerCon in Las Vegas. What did you think about it? I attended the First World Mermaid Awards in Las Vegas, Nevada, August 12-13, 2011. I like the idea of mermaid enthusiasts gathering together and sharing their passion for and knowledge about mermaids with each other. I thought Mercon 2011 was a great first attempt. I thought the venue, the Silverton Lodge and Casino, was a natural fit for the convention, with its mermaid-themed lounge, art gallery and aquarium. Las Vegas was a convenient and affordable location. I appreciated the fact that the convention fees could be broken into the portions that one intended on attending rather than having to pay a single conference fee. I expected the vendor portion of the convention to be larger but was able to meet and find out about most, if not all of the vendors who attended. I would have liked to have seen more vendors who sold realistic-looking tails. The International Mermaid Pageant was a fantastic addition to the conference. My only suggestion would be to find a consistent method of transporting and presenting the contestants. I cannot comment on the VIP portion of the convention; I was unable to attend it because I had to fly out on Saturday. Do you yourself have a tail, or aspire to? I have a “land tail,” which is basically a costume I wear to the annual Mermaid Parade in Coney Island, New York. Mercon has inspired me to aquire a tail that I can swim in. As I can sew quite well, I will probably make my own. In the future, though, I will most likely purchase a realistic-looking mer-tail! I advise all aspiring mermaids to follow their dream!